Anyone would agree that technology has reduced unnecessary workload and made our lives far more convenient. Keyless entry and remote unlocking systems are good examples of this. Automobile manufacturers brought a revolution in security by introducing electronic car keys for remote access. These keys are programmed to communicate with a specific vehicle and help reduce incidents of automobile theft. Unfortunately, remote keys may fail during operation or could get misplaced causing a sudden loss of access. If you are grounded due to any of these situations, callManassas Lock And Key. How does remote programming work? The key fob or head of all modern automobile keys come embedded with a microchip. When you press the button, the microchip emits a unique code that is received by the car’s electronic control unit. Upon verification, the car’s ignition gets activated to allow access. In case a wrong code is provided, the immobilizer in the car locks down the system and refuses access. Modern automobiles contain microchips that send a different code each time you access the car to ensure that no thief can copy the code to gain access. Manassas Lock And Key is a professional locksmith firm that offersautomobile key programming services to clients across Manassas, VA. We can create and program a brand-new transponder key right on the location and repair damaged keys with our state-of-the-art tools. Car dealers are often the first port of call for every customer in need of automobile keys programming. However, a dealership could take several days to resolve your issue and would charge a ton of money for the job. We can program your car keys within minutes at a fraction of the cost you would pay to a dealership. Our auto locksmith experts are known for their first-rate quality and excellent workmanship. Over the past few years, hundreds of automobile clients chose us over their dealership and got premium services at a much cheaper cost. We can work on almost any make or model of the vehicle, no matter how old or new. 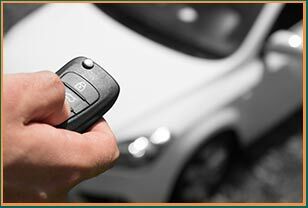 Plus, our technicians can also help you upgrade to remote key lock systems if you are an owner of an old vehicle. Automobile keys programming is a complex job that requires technical expertise and experience. We not only satisfy both the conditions but are also the cheapest and quickest service out there. Do you need your automobile keys programmed? Call us now on 703-270-6005 !